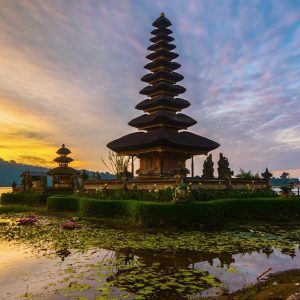 While Bali is particularly famous for its gorgeous beaches and sunsets, the island also boasts stunning scenery comprising of dramatic towering volcanoes, rice paddies and jungles. Through this magical landscape flow rivers which cascade over rocks in the form of sensational waterfalls, which unknown to many are some of the most remarkable sights on the island. 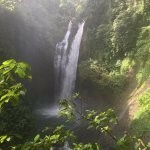 If you are searching for serenity, peacefulness, fresh air, and the natural scent of nature, then consider visiting these amazing natural wonders with a tour to the best waterfalls on Bali. 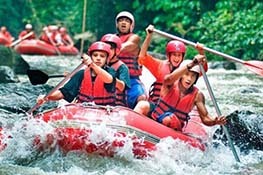 For a first-timer, GitGit waterfall in Singaraja is a remarkable spot to whet your appetite for nature. 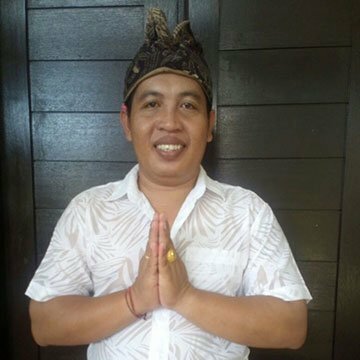 It is simply the best spot to introduce you to Bali’s waterfall scene. 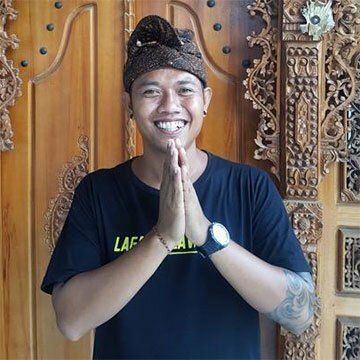 It is among the easiest waterfalls to access by road and because of this particular characteristic, it has forged its repute as among the most famous tourist sites in Bali. Just adjacent to the waterfall are refreshment stops and the opportunity for a spot of retail therapy in the art shop. This waterfall is approximately 35 meters high and is encompassed by amazingly lush greenery, and if you are lucky, you may even spot a few monkeys moving about from tree to tree and even quenching their thirst from the falls! Oh, and just before you set your foot on this waterfall, it is important you take to heart one particular mild warning that is a common belief around Bali-local history has it that any couple that takes a bath together under this waterfall will soon separate after this visit. Don’t say you were not warned! 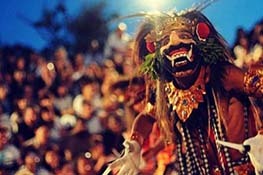 Next, you shouldtake to viewing the ‘Balinese Niagara Falls’, known as ‘Niagara Munduk in Buleleng. 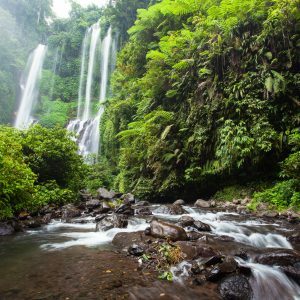 Nestled deep in the rainforest in Buleleng near the village of Munduk, are two spectacular waterfalls. The most remarkable of both is the Munduk Waterfall where some visitors even compare it to a film set! 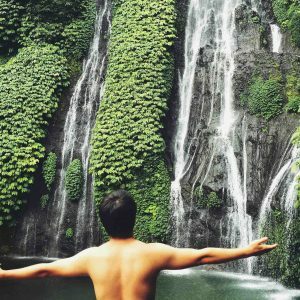 It is a fifteen-meter high waterfall that is a marvel to behold especially considering that its adjacent area is characterized by two twin lakes. 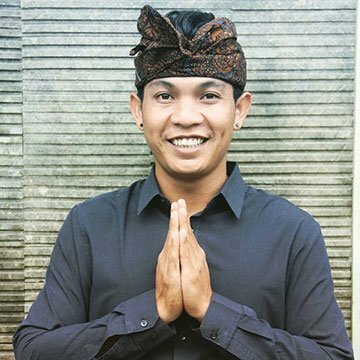 With well-cultivated rice fields, clove plantations and the background of Bali’s remarkable mountains encircling the area, Munduk is a serene place to feel your inner peace. At the waterfall you will find a restaurant where you can engage your palates in amazing cuisines before you take the road, a further kilometer ahead to Melanting Waterfall where you can splash around for hours! 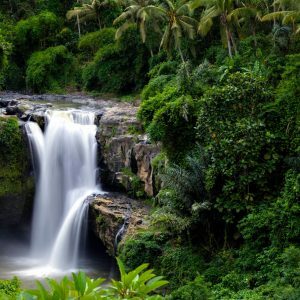 Cited as the most beautiful waterfall in Bali, the Sekumpul Waterfall, based in Singaraja is considered by many to be Bali’s most stunning waterfall. To have an up-close view of this remarkable waterfall, a bit of effort is needed which adds to the zeal of the adventure. First, you need to trek through a dirt road, take on numerous slippery steps, and a river which you need to cross just nearby. Although it feels like a whole lot to take in, it is worth the effort! 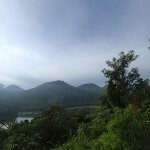 While you can get remarkable views from the top, Sekumpul is often best relished from a distance. Whatsets this waterfall apart from the rest of the crop is that it is not just one but seven waterfalls. 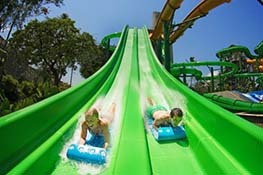 Each gets to different dizzying heights up the treetops with each featuring different water amounts. It is definitely a sight that will remain in your memory for years to come. Nine hundred meters and counting! 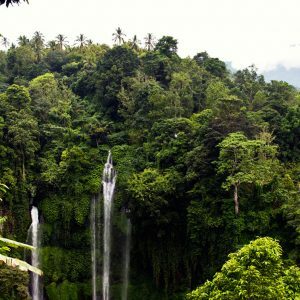 The NungNung Waterfall based in Petang is the highest waterfall in Bali. Situated in a tiny village in the middle of virtually nowhere is the spectacular NungNung. 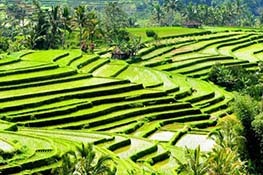 The journey leading you to this site is just lovely with plantations and green rice paddies encompassing each direction. Before you get the first sight of the waterfall, you will certainly hear it from afar as the thunderous but melodious sound of water crashes down into the pool below. Get your cameras ready! 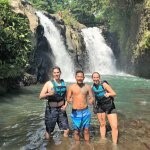 If you are looking to witness nature in its purest of forms, then your Bali itinerary needs to include a tour of the Sambangan region to the Banyumala Twin Waterfalls in North Bali. This waterfall is not as easy to find and as such, you’ll need a guide to take you around the region. However, despite the complexity involved in visiting, it is worth every minute. As the name would suggest, there are two waterfalls here. Water trickles down the steep rocks surrounded by gorgeous greenery. It is simply Mother Nature in her truest form! While here, you can partake in a nourishing dip in the exclusive plunge pool at the bottom-simply dip your head and enjoy the sounds of water thunderously crashing down! 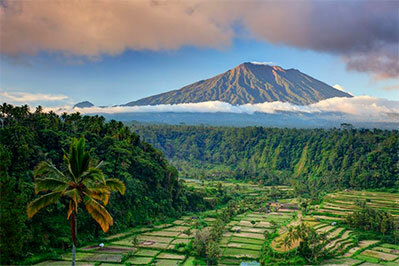 Bali is simply but a remarkable romantic getaway destination. With its impeccably beautiful scenery, Bali is simply a place to share your love with your spouse, family or your loved ones. And while at it, what better place to be at than the most romantic water spot in Bali, SingSing Waterfalls in Lovina. 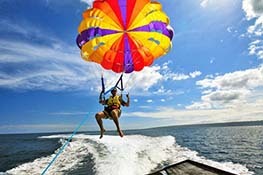 Located in Northern Bali, you will surely love your visit here. 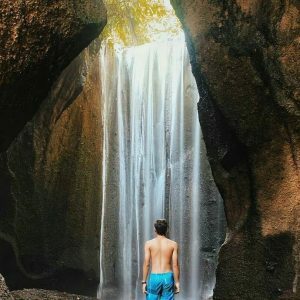 It is labeled as the most romantic waterfall across all of Bali precisely for its peaceful and soothing atmosphere, besides the obviously gorgeous water flow! 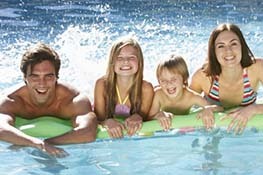 Sit and enjoy the natural settings with your spouse, listening to the calm rippling of water down the course, or even take a dip together in the cool fresh water just before you head into one of the many yummy nearby hotels to grab a bite to eat. 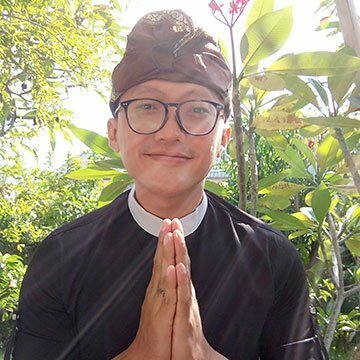 Bali is not just about the scrumptious culinary, the mesmerizing natural allures, ort he stunningly gorgeous beaches (though everyone loves those also). It is also characteristic of several hidden natural treasures, among them the stunningly adorable waterfalls. 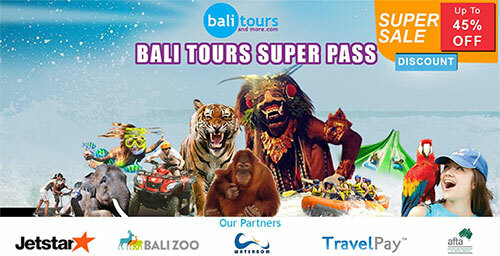 Make sure that you book your waterfall tour and experience Bali’s nature at it’s finest. 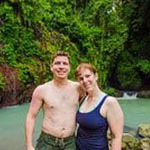 Me and my husband were glad we chose Bali Jungle Trekking as our waterfall guide. It was so much fun. 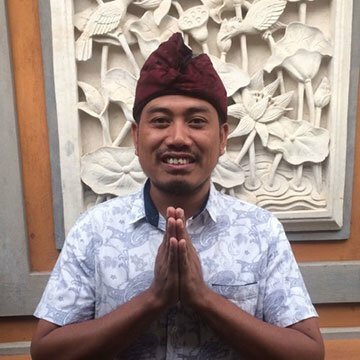 We got picked up from Ubud and the drive was quite long-about 3 hours but you get to see very interesting parts of Bali and waterfalls are totally worth it. 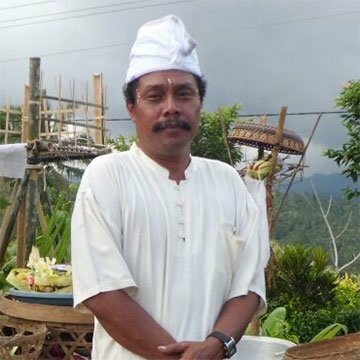 I have asked from organizers to arrange a visit to Ulun Danau Batur Temple which was nice break to long drive. 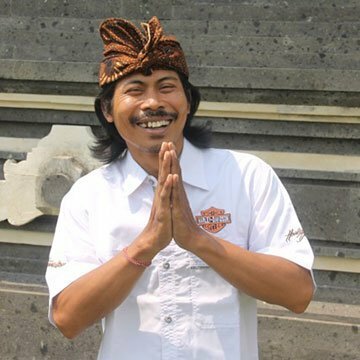 Our transportation person didn’t speak too well english but it wasn’t too big of a problem and we could communicate fine. We went to see Sambangan 5 waterfalls which include Aling Aling. Very spectacular experience which is totally worth money spent on this trip. You get to swim and jump as much as you want. Our jungle guide also took us for a quick refreshing coconut before the hike. which was sweet, I liked also that we were never rushed. 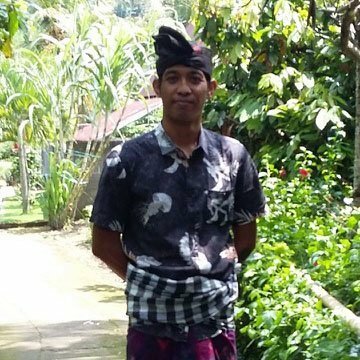 And in the end of the trip out driver even suggested if he takes us somewhere else on the way like Ubud Monkey Forest but we were so tired that didn’t have power for it anymore. 5 out of 5 – Great experience! 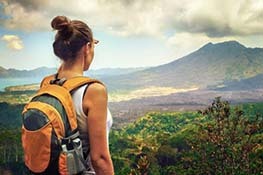 Bali Jungle Trekking organise top, best and memorable trekking in Bali, including jungle trekking, waterfalls trekking, Bali rice fields walks, trekking to hidden villages, Mount Batur sunrise trekking tours, Mount Agung hiking tours, Mount Batukaru hiking adventure and Mount Abang jungle hike. I was lucky to enjoy the Munduk waterfalls trek during rainy season, for lush environment and plenty or roaring waters. The highlight of the tour was my amazing guide, Made, to which I will always be grateful.